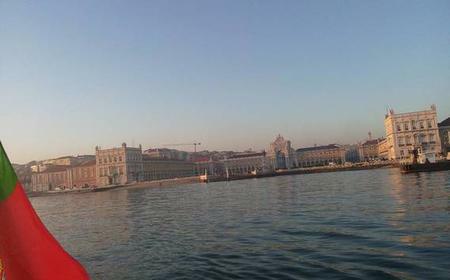 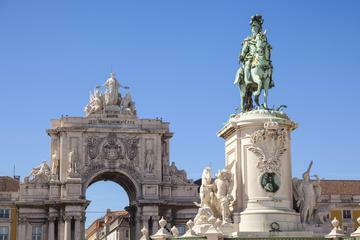 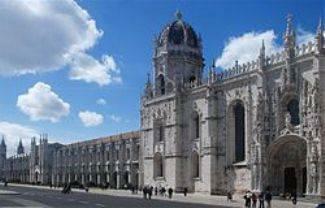 ... of St Jerome (Mosteiro dos Jeronimos), UNESCO-listed Belém Tower (Torre de Belém) and the Monument to the Discoveries. 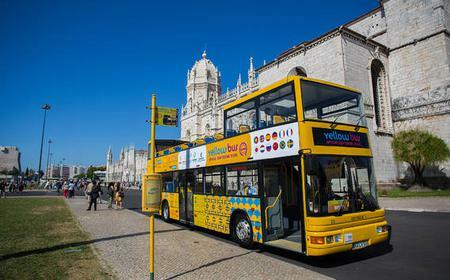 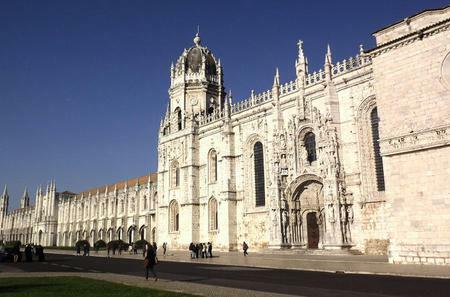 ...istory as you tour the Belém district, home to Belém Tower, Monastery of St Jerome and the Monument to the Discoveries. 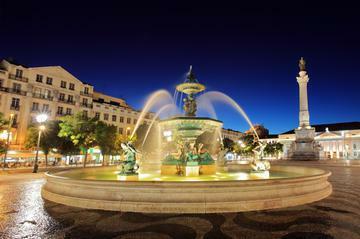 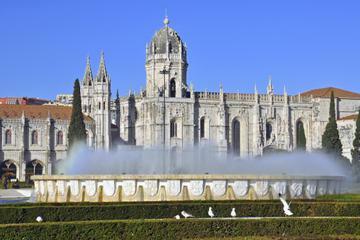 ...ma, visit the Christ the King statue, and see the Jerónimos Monastery, the Belém Tower, and Monument to the Discoveries. 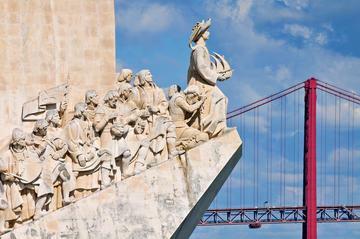 The Padrão dos Descobrimentos or Monument to the Discoveries is a tribute to the Portuguese Age of Discovery that peaked during the 15th-16th centuries. 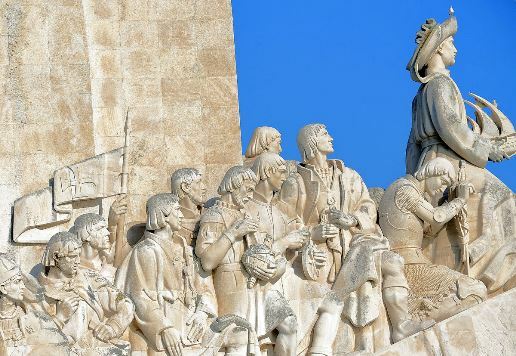 The Padrão dos Descobrimentos or Monument to the Discoveries is a tribute to the Portuguese Age of Discovery that peaked during the 15th-16th centuries. 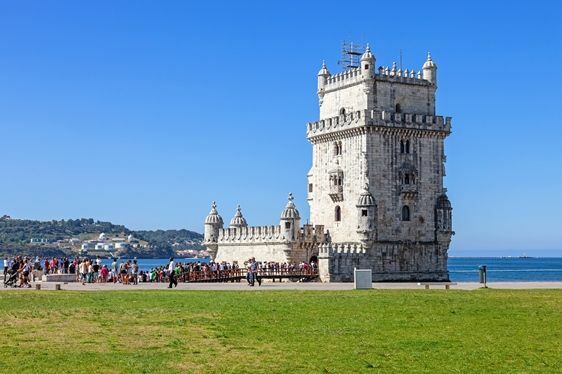 Located on the north bank of the Tagus River from where ships departed for trade and exploration across the seas, the magnificent monument also commemorated the 500th death anniversary Prince Henry the Navigator who patronized exploration. 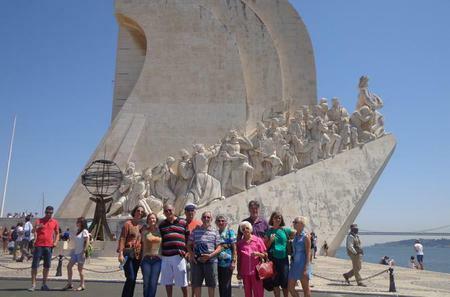 The 52 metre high monument depicts the prow and sails of a caravel, on which are 33 eminent figures representing monarchs, explorers, cartographers, artists, scientists and missionaries from the Portuguese Age of Discovery. 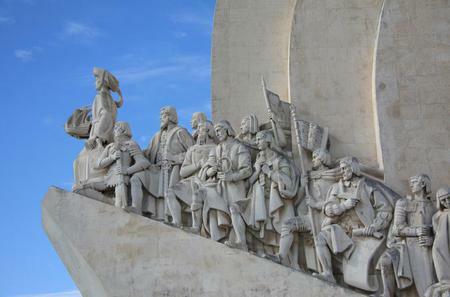 Led by Prince Henry, the crew includes Vasco da Gama, Magellan, Bartolomeu Dias, Saint Francis Xavier, and Pedro Alvares Cabral. 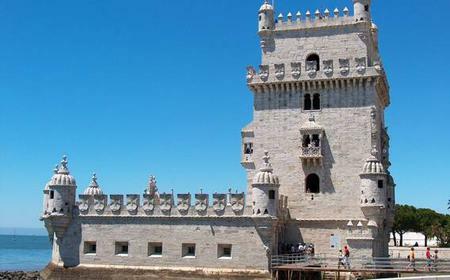 The vertical mast-like slab has 2 Portuguese coats of arms on each side, with 5 shields surrounded by 12 castles. 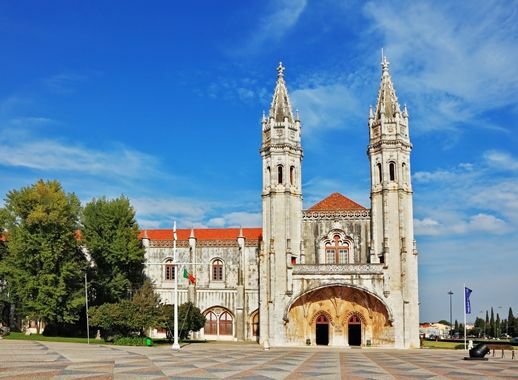 The pavement at the foot of the monument has a marble mosaic of a wind rose that charts the dates and locations of important Portuguese explorations and discoveries of new lands. 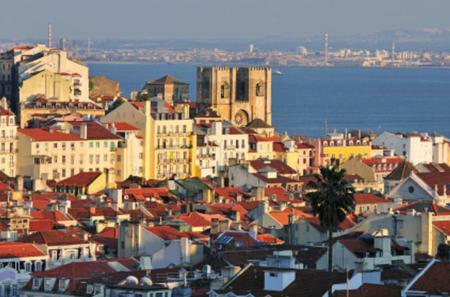 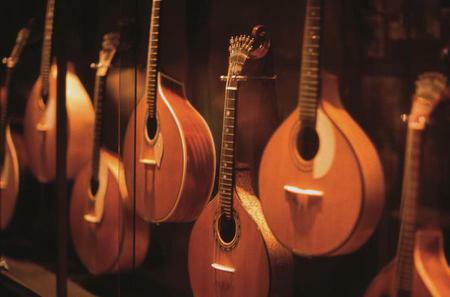 The interiors present temporary exhibitions, and a film about Lisbon. 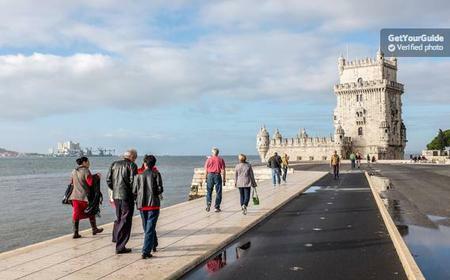 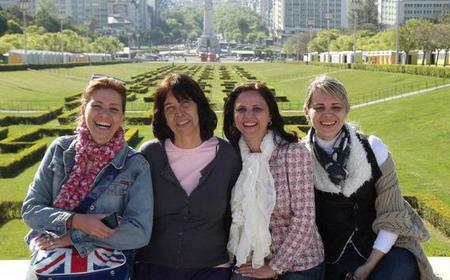 There is an elevator to the top that offers great views over Belem, the city, and the river.